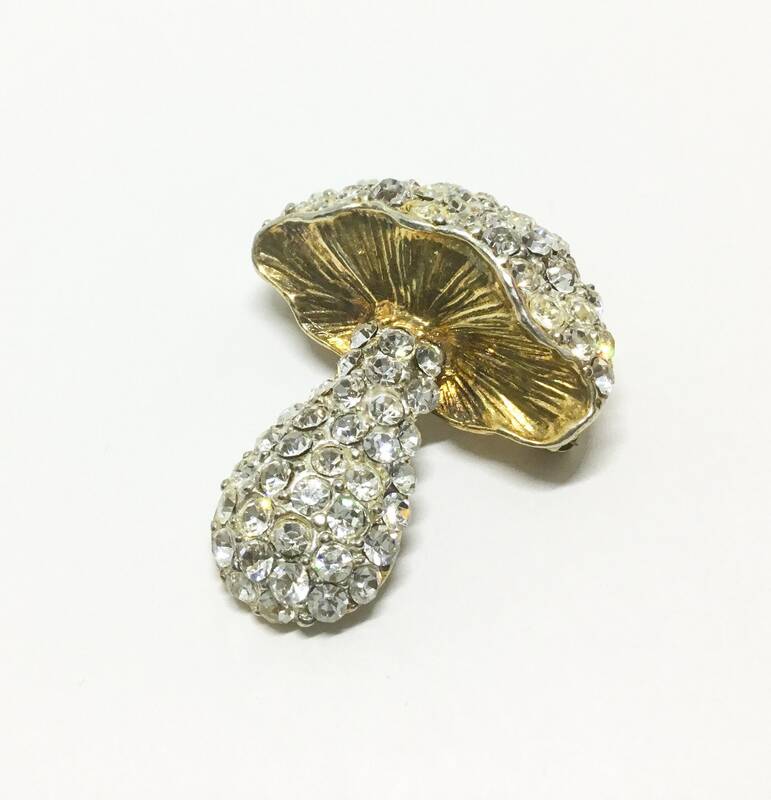 This is a dazzling unsigned vintage rhinestone mushroom brooch. 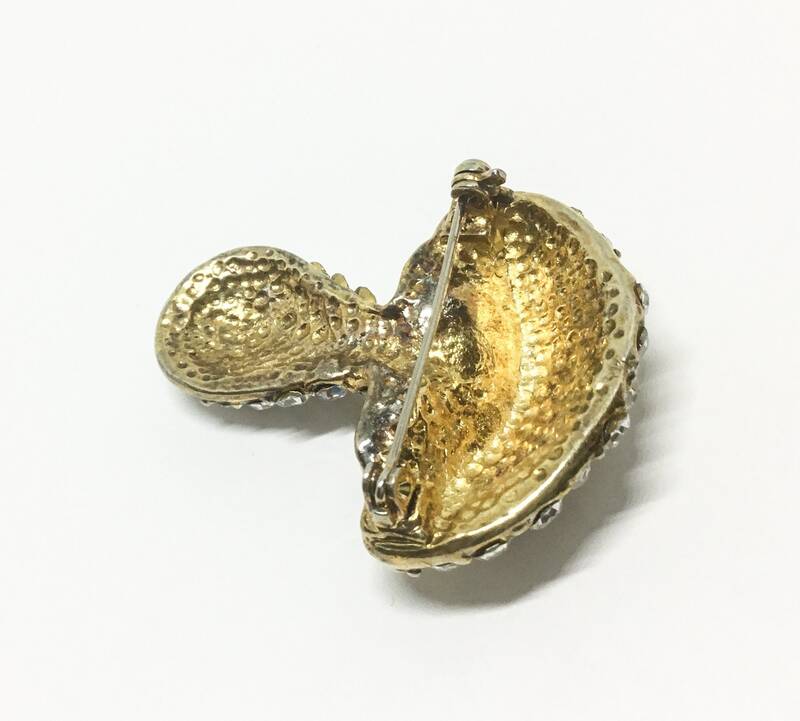 The setting is goldtone with nice detail on the underside of the cap. 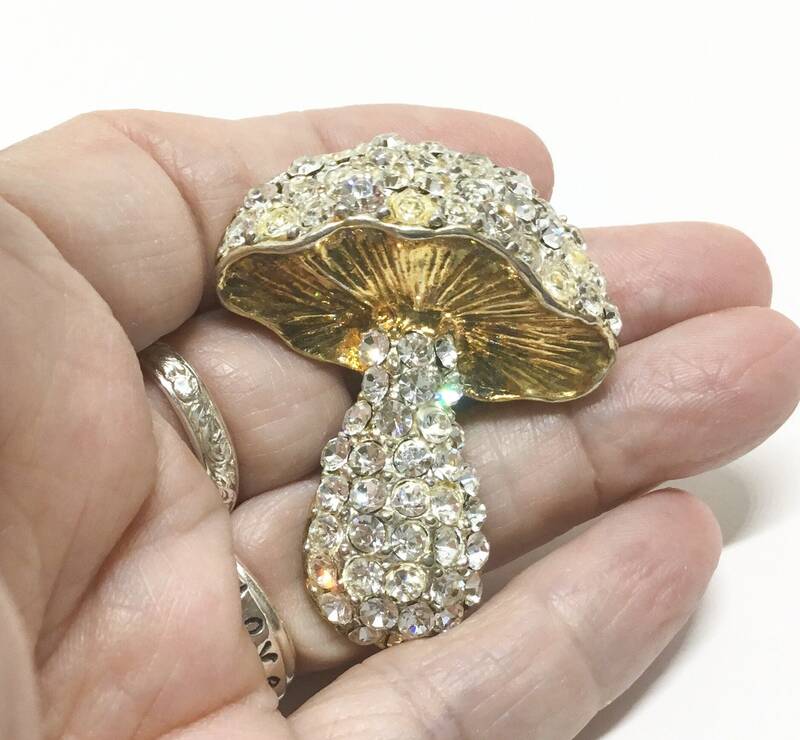 The stem and the cap are clear sparkly rhinestones. They are all present,faceted, and paste set. 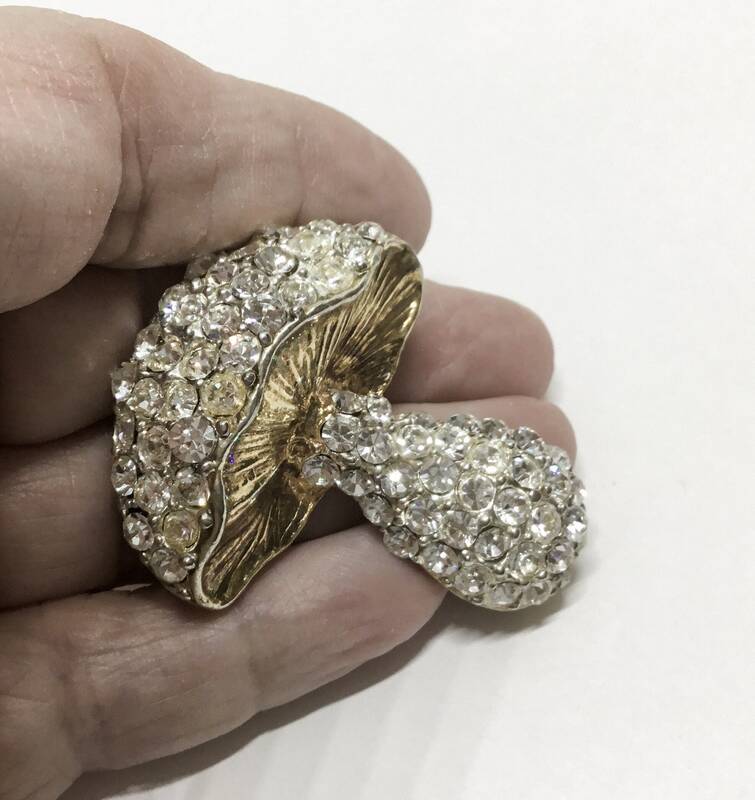 The back is in good vintage condition. 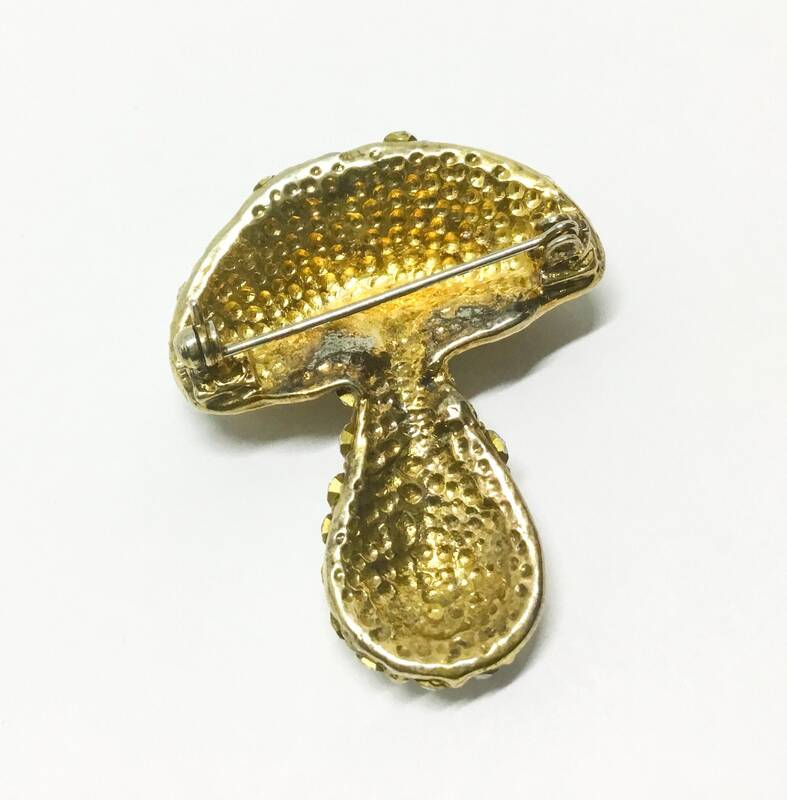 It measures 1 3/4” x 1 3/8” and the pinback is straight and works smoothly and securely. 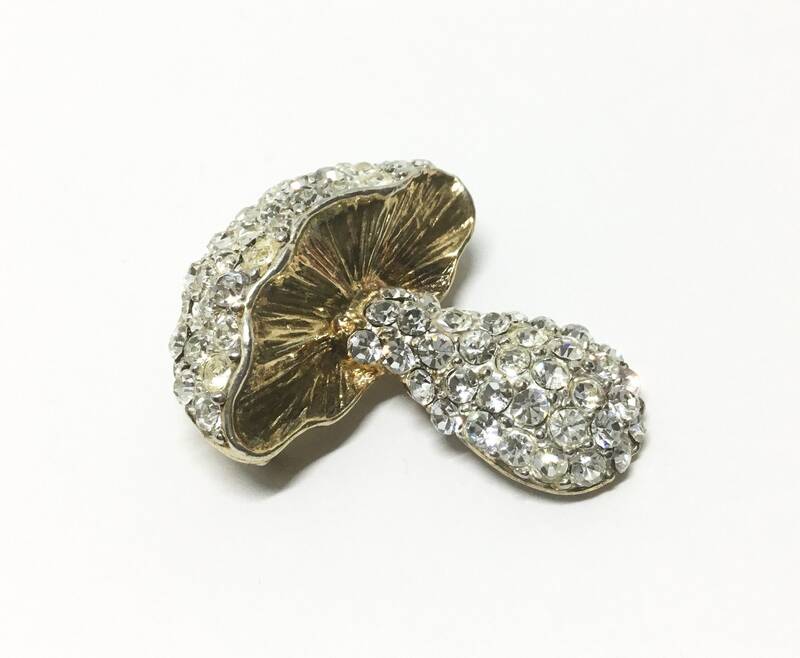 This is a charming brooch that anyone who loves mushrooms would love to wear. 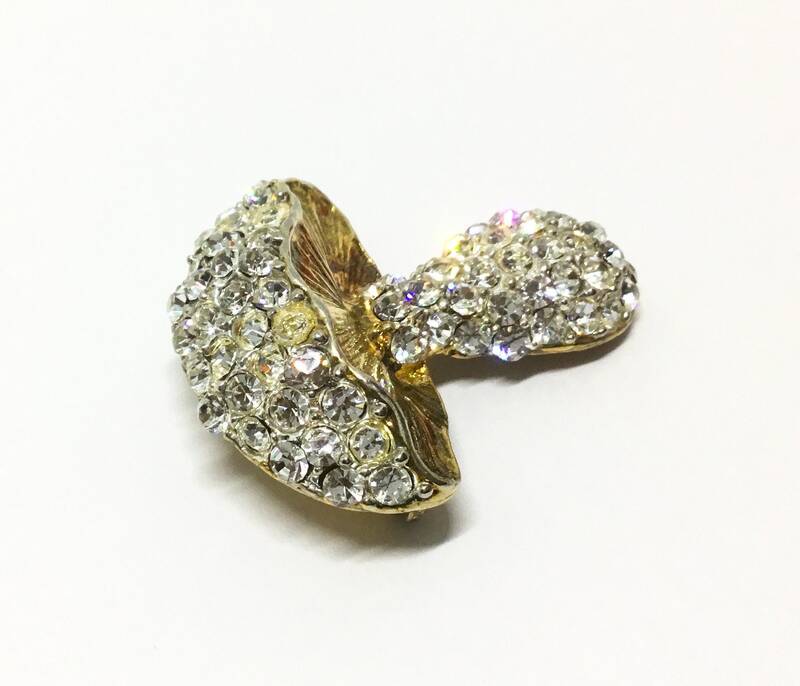 A great accent to wear on lapels, sweaters, or jackets. 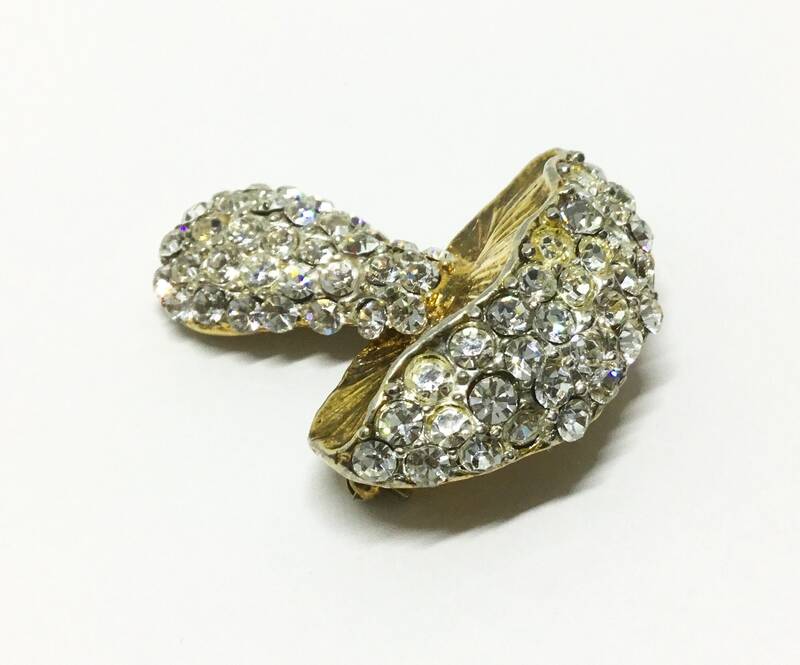 Wear it, look fabulous, wait for the compliments!